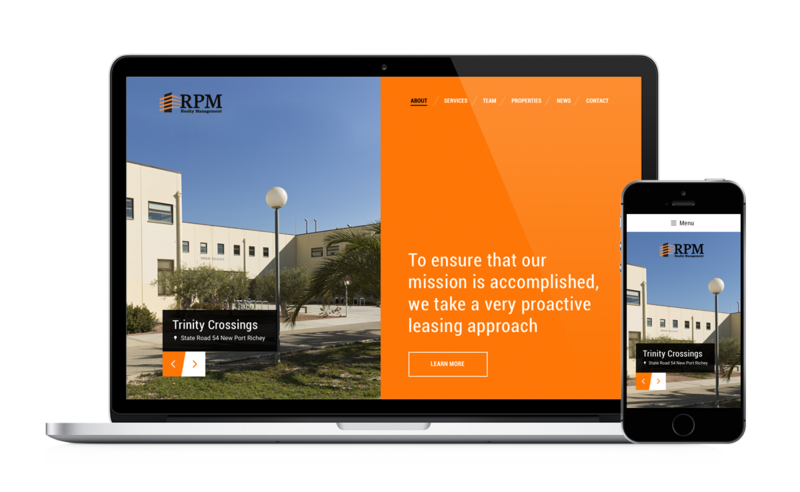 inMotion recently launched a completely revamped company website for RPM Realty Management, a Tampa-based commercial real estate company. Founded in 1980, RPM is a full service CRE company that provides a multitude of real estate services, including: property management, leasing/ marketing services, financing , and investment sales advisory services. The company currently manages a portfolio of 27 retail properties totaling over 1.3 M SF and 325+ tenants. inMotion’s design and development teams came together to create a custom website for RPM Realty to help modernize their online presence while maintaining their original brand.